Art can definitely be found everywhere. We can shove off some piece of creativity in almost all things. They can be in your garden, rest room, kitchen or in a common table where you spilled some coffee stains while reading the newspaper before going to work. Yeah, you read it right! The creative idea = coffee stains! 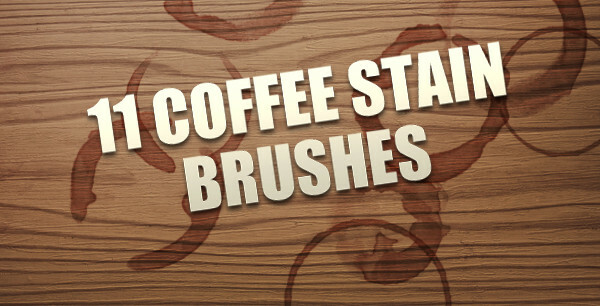 Today’s amazing freebie features a sleek collection of 11 coffee stain Photoshop brushes just perfect for designing layouts for prints like postcards, magazines, letterheads and even web banners and headers. So the next time you spilled off some of coffee, don’t wipe them immediately because they might just be helpful in giving you the creative inspiration you’re looking for. Download this awesome brush set. Just click the button below. Share your thoughts and suggestions by commenting below.